We’ve been rather busy lately, so this is just a short post, to alert our readers to some news and give them something nice to look at. The obvious question is: what’s our news? The answer: Dalmatia! 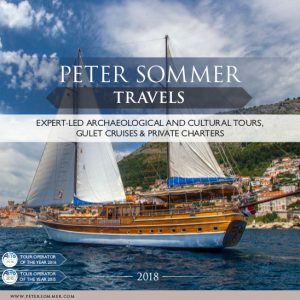 After years of consideration and preparation, we are proud – and excited – to announce the first Peter Sommer Travels itinerary in Croatia: Cruising the Coast of Dalmatia. Our first foray into the Adriatic Sea is a truly spectacular offering. Taking in the central and southern parts of the historic region of Dalmatia, it is immensely diverse and includes many places of great interest and unique beauty: in the mainland, there is the Late Roman Palace of Diocletian at Split and the stunning Renaissance city of Dubrovnik (formerly better known as Ragusa), both listed by UNESCO as World Heritage. In between, there is a succession of islands: beautiful and underestimated Brač; wonderful Hvar with the remains of ancient Greek Pharos; Vis, ancient Issa, one of Croatia’s most remote islands, Korčula (Korkyra Melaina or Black Corfu to the Greeks) with its splendid main town, and verdant Mljet (Roman Melita) with its national park. Peter and Heinrich have been on a number of extensive reconnaissance trips to explore the country’s sights, attractions and secrets and to deepen our contact network in that fascinating country. We owe you, our readers, a fuller post on our experiences – and there will be one (or more) in the coming months. 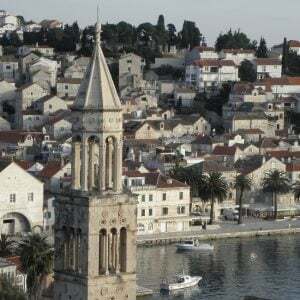 For the moment, we provide a gallery of images, of sights and impressions we enjoyed while visiting an extremely interesting, extremely beautiful and extremely inviting part of the world: the Dalmatian Coast of Croatia. 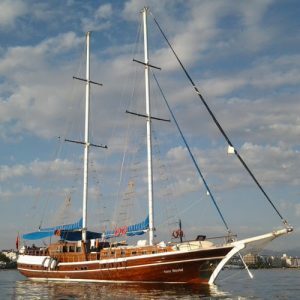 Also, we include some pictures of the Perla, the wonderful Turkish-built gulet that will be our floating home on the Dalmatian cruise this September. It is a privilege to share more of this world’s fascination and its beauty with you on this blog, and it will be even greater to do the real thing. If you are tempted by the gallery below, have a look at our Cruising the Coast of Dalmatia!